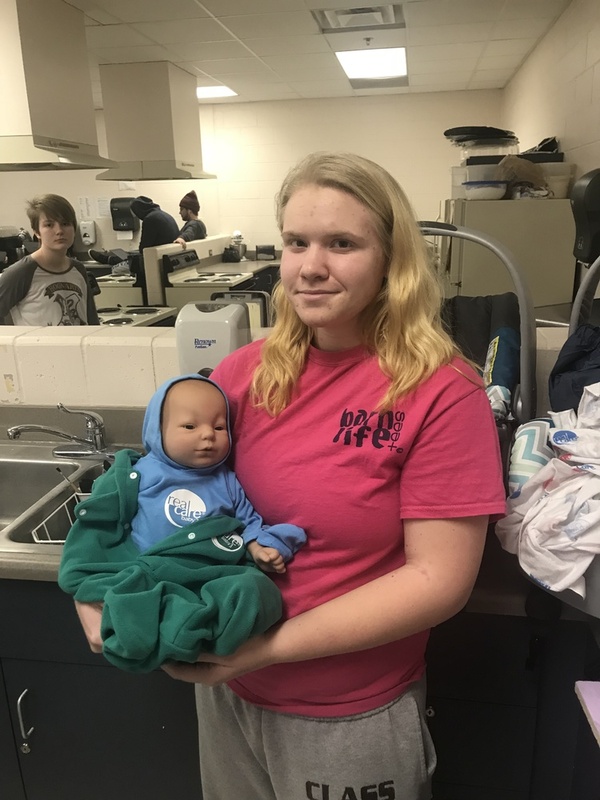 Blue Ridge Educational Foundation gave a grant to the BRHS Family and Consumer Sciences Department for "Real Care" babies. These babies are as close to the real thing as you can get: they cry when they need fed, burped, changed or rocked; they measure temperature; and can tell if their clothes have been changed and how long they have been left in the car seat. The parenting class is taking these home this semester. Great project for our students.